Adding flavors to food with "The Food Farm Company"
Home/Adding flavors to food with "The Food Farm Company"
What is Nachos without Salsa? Pita Bread without Hummus? Or Bread without Jam? The point I am trying to make here is what makes food better to eat is the embellishments served along with it. There is a good news for all you people in Delhi NCR. 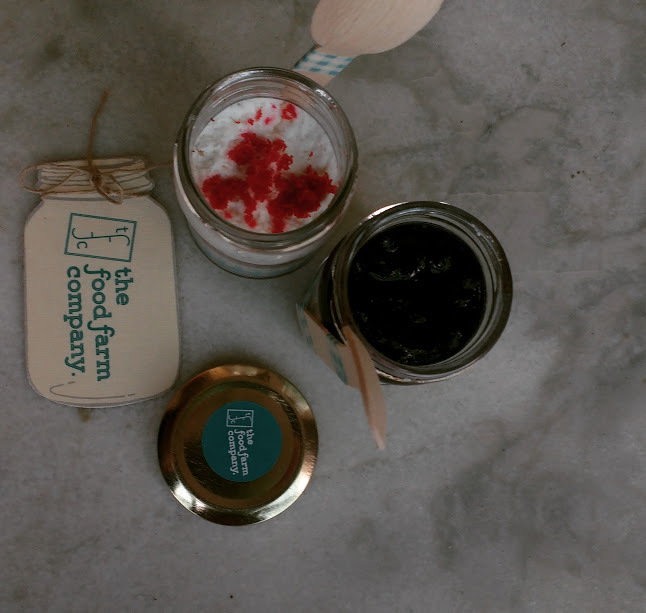 The food farm company is here to make your food better and interesting with yummy dips made of 100% natural and preservative free ingredients. The place is ran by Divya Beri and her husband. While Divya takes care of the kitchen, her husband takes care of the marketing and logistics. Baking was always a passion to Divya, She started this journey by baking and supplying muffins to coffee shop in Bangalore. She moved back to Delhi and tried her hands in Dips and Dessert Jars. 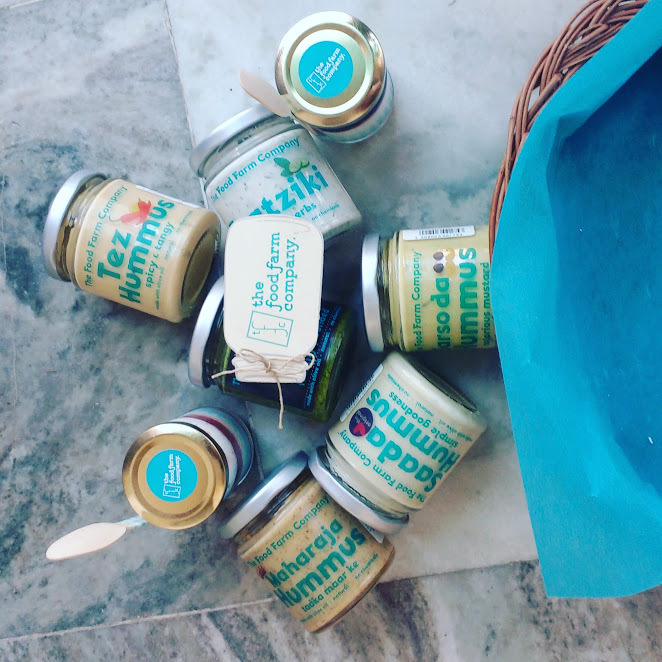 We recently got a chance to try the Food Farm Company and we are super impressed by their range of hummus. Their Red Velvet and Blueberry Cheesecake Jars would leave you spell bound. The dessert Jars are of the perfect size for those sudden cravings. They have five types of hummus and their signature dip named Tazza Pesto. Our personal favorite was their Saada Hummus which was the basic hummus.Apart from that, they have Maharaja Hummus for the Indian Palate, Tez Hummus for the spice lover in you, Sarso Da Hummus for the mustard lover. 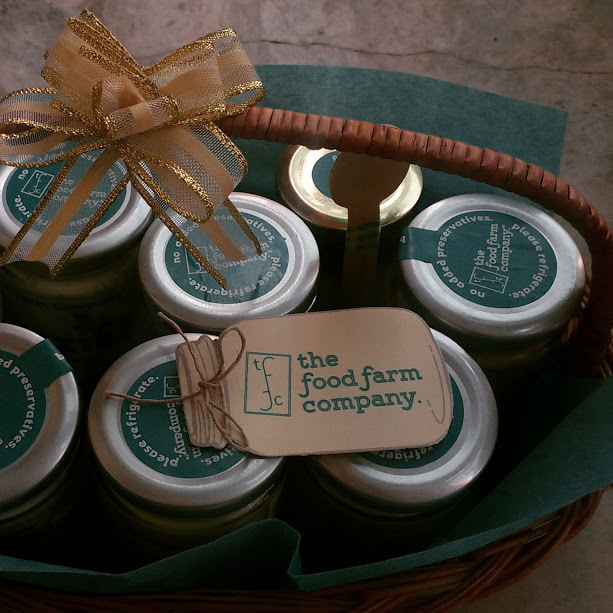 Their dips come in fancy jars which can be reused and are priced starting from 200 INR to 300 INR. They deliver in Delhi NCR and have collaborated with some of the places to deliver their awesome products. You can always reach out to them at Facebook for orders.